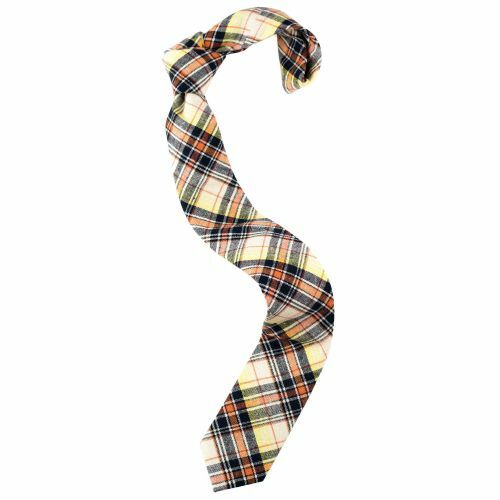 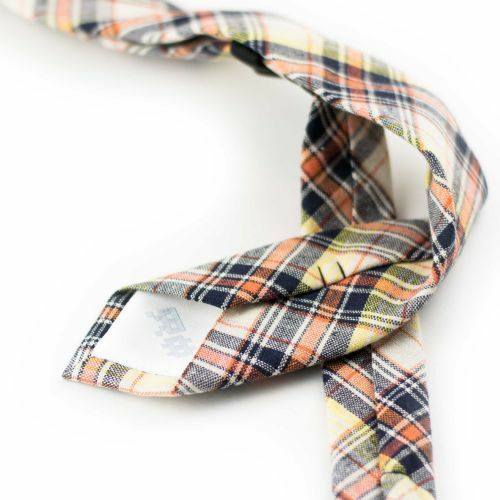 With the colors of the rising sun this tie paints it's bearer in a plaid poem. 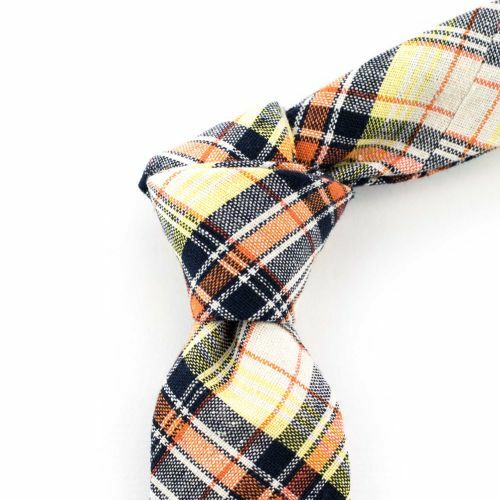 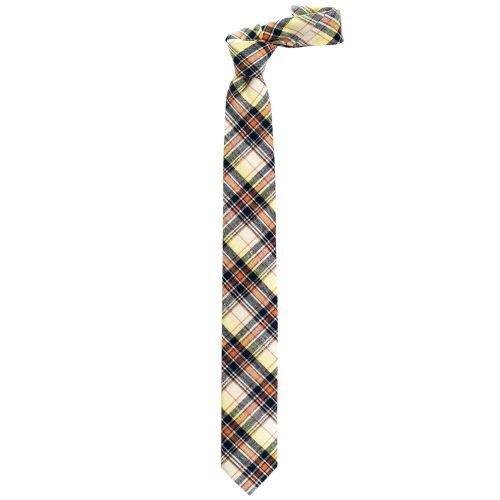 Yellow, orange and black with white, dark grey and multiple other shades in between makes up this woven cotton tie, with a structure and texture that exude confidence. 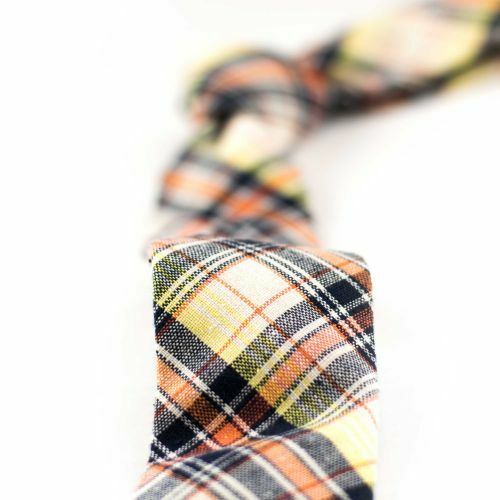 Yellow / Orange / Black.